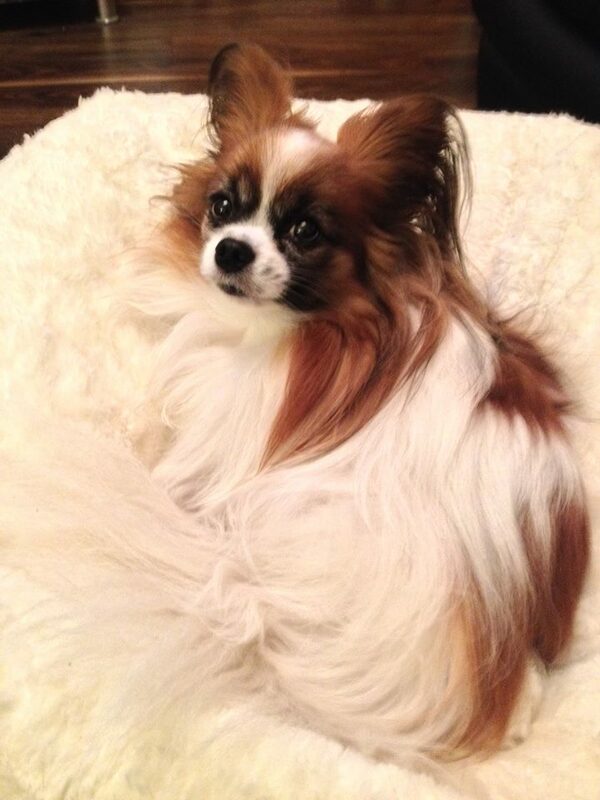 The Papillon is a small breed that is well known for its known for its affectionate and energetic personality. These dogs are always looking for something to do, so they make for playful company. They are very social and are excited when they get to meet new faces. This energetic dog makes for a lively and fun pet. 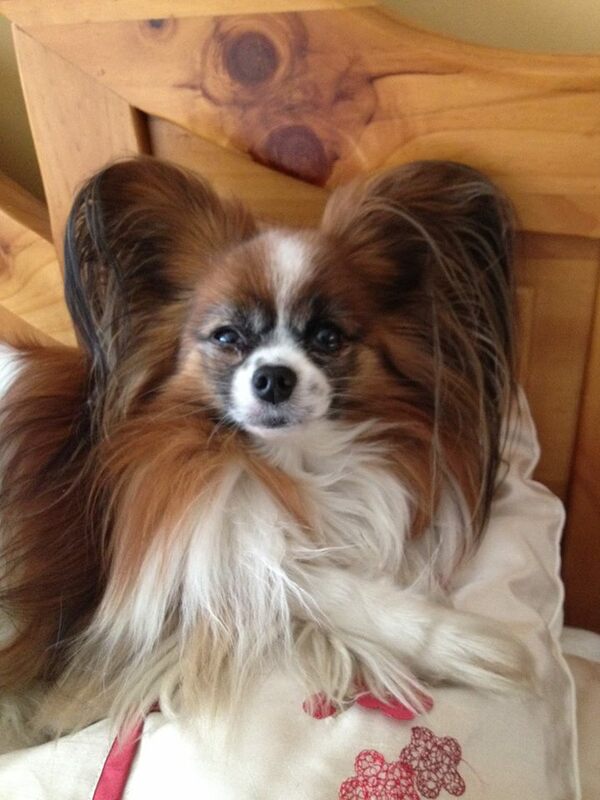 Papillons are known to be social with other canines as well as humans. This is an ideal breed when it comes to sharing the house with other dogs. They are known to coexist well with other dogs, so long as the size difference isn’t too great. 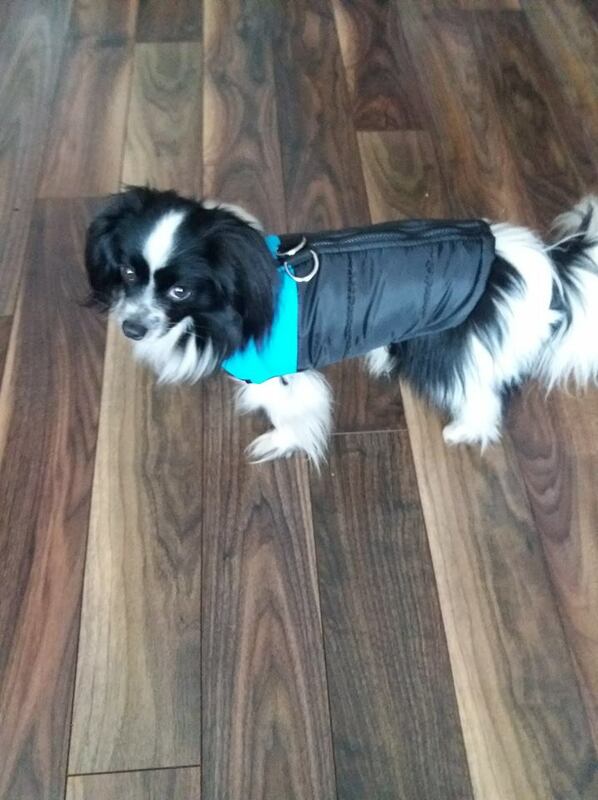 A large dog has a better chance of injuring a small Papillon, so extra caution is needed when together. Altogether, this breed does not tend to show much aggression towards others. "Paps" are so social, they really can’t stand being left alone. These dogs are prone to separation anxiety when left alone for prolonged periods of time. If they are alone for too long, they may start barking, or chew on your stuff. This breed is not recommended for owners who are not home most of the day. Some owners will hire dog sitters or send their dog to daycare to combat this. These playful dogs make a great addition to families. Kids love playing with these excitable and energetic dogs. Their size presents less of a threat to young people and is lacking in the intimidation department. Small children can easily injure these dogs, however, so they should be monitored while playing and be taught how to handle them. "Paps" are energetic dogs and need owners that can keep up with them. They tend to prefer playing to laying around and relaxing. While their size fits, they don’t like to assume the role of a lap dog. Playing with the dog will take its excessive energy down a notch, helping the dog relax. Playing with them will also provide the exercise the breed needs to stay healthy. This breed is known to be relatively vocal. Paps are often pretty alert and are aware of differences in their environment. They will bark at passersby, other dogs, the odd squirrel, and just about anything that seems unusual to them. This is not a recommended breed if you or a neighbor are sensitive to high volumes. This is a famously intelligent breed. They are smart enough to be able to abuse a weakness in their owner if they see one. 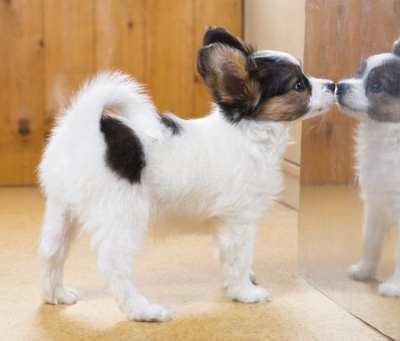 These dogs can become stubborn if their bad habits are not ironed out when they are young. They also tend to believe they are the ones in charge if the owner does not seem to assume the position. Otherwise, the breed presents dogs that learn quickly and are eager to do so. While these dogs are typically loyal and attentive to their owner, they can be distracted. If a Pap takes off running after a squirrel or a stranger, it may be difficult to get its attention again. It’s recommended that they have some sort of enclosure when outside, to prevent them from getting lost or running in front of a car. These dogs aren’t great escape artists, however, so a small fence or invisible fence should suffice. There are two varieties of the breed, but it depends on where you are located in the world as to whether you recognize each as separate. The Phalene, which is similar in all respects except for the ear carriage, is recognized separated with the Fédération Cynologique Internationale (FCI). In the U.S., the American Kennel Club groups both varieties together into one breed. 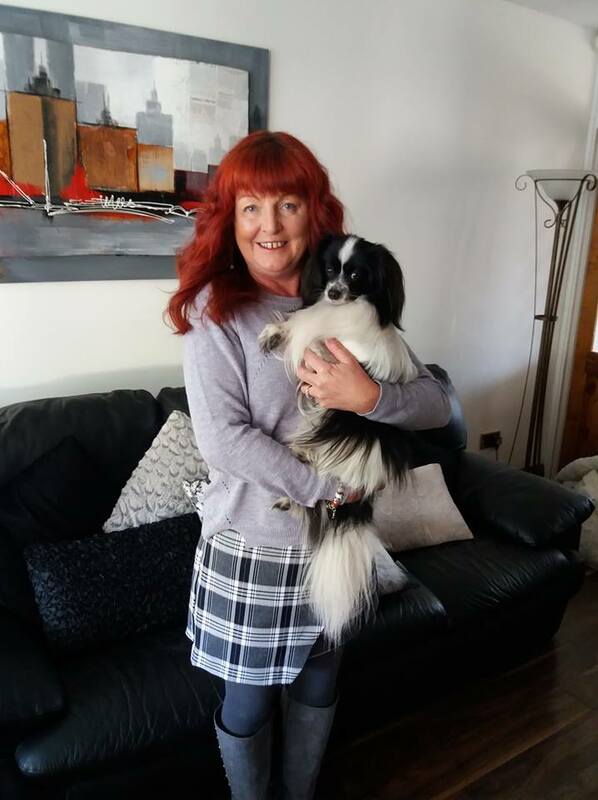 Many thanks to Aoife from Dublin, Ireland for sending us in photos of her beautiful Papillon, Princess Leah and Odin, a fabulous Phalene. Sadly Princess Leah has now gone over the Rainbow Bridge. Dogs that were very similar to the modern dogs were first seen depicted in the early 1500s. They had been around long before then, but their origins remain a mystery. 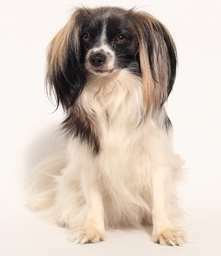 Some believe that the breed came from China while others thought it emerged a product of mixed breeding in the years before the Renaissance. Regardless of how the breed came to be, it undoubtedly resided in Spain for a while before spreading out. 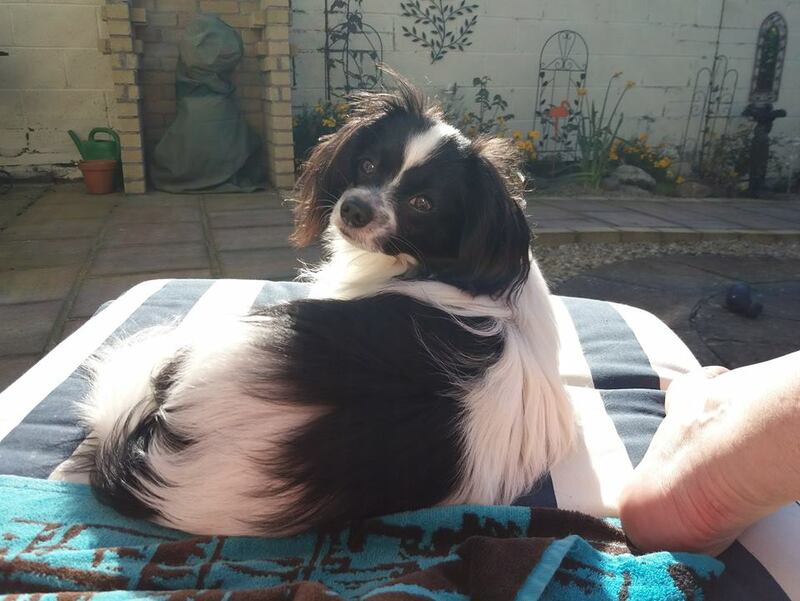 This is most likely what gives the Papillon and other spaniels their names, as before it was the Papillon, it was the toy spaniel. 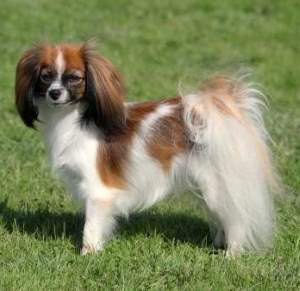 The Toy Spaniel was popular in Spain and France and later spread out into more of Europe. The breed was especially popular among the aristocrats of the day and were produced to meet wanted characteristics. This selective breeding molded the dog's appearance into what it is today. 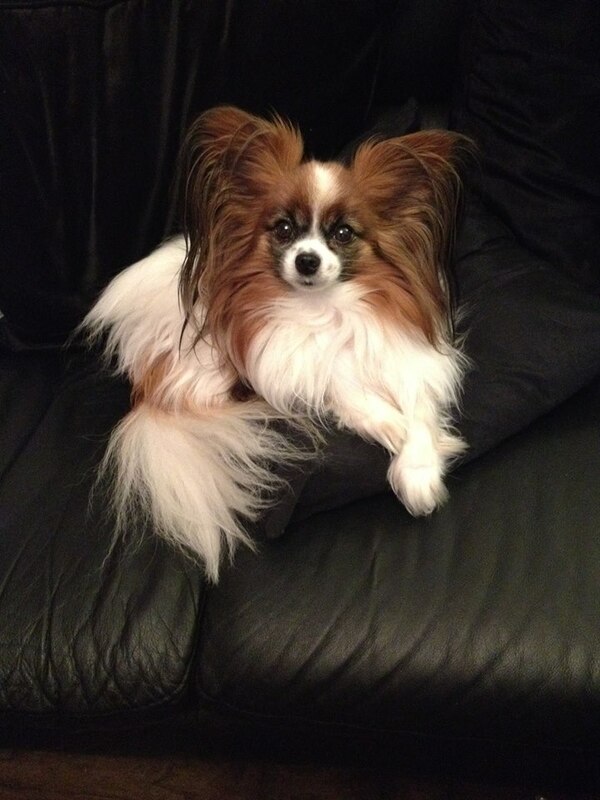 It was also quite famous among the French royal family, as Mary Antoinette notoriously owned one of these dogs. They may have had better luck had they spent more time feeding their people than their dogs. Their popularity with the aristocrats soon spread throughout Europe. It wouldn’t be until towards the close of the 19th century that people would start referring to the breed by its current name. The French word for butterfly, "Papillon," was adopted by the breed after many people compared its large, pointed ears to the wings of a butterfly. The dog’s rise to fame would be interrupted by the chaos brought to Europe by the world wars. Many breeds suffered during these years and dropped in their numbers. The war effort was the priority, not breeding, which even led to the extinction of some breeds. Thankfully, those who could afford to own dogs during this time kept the breeds alive. While most varieties of dogs in Europe were left in disarray after the world wars, breeds in the US prospered. 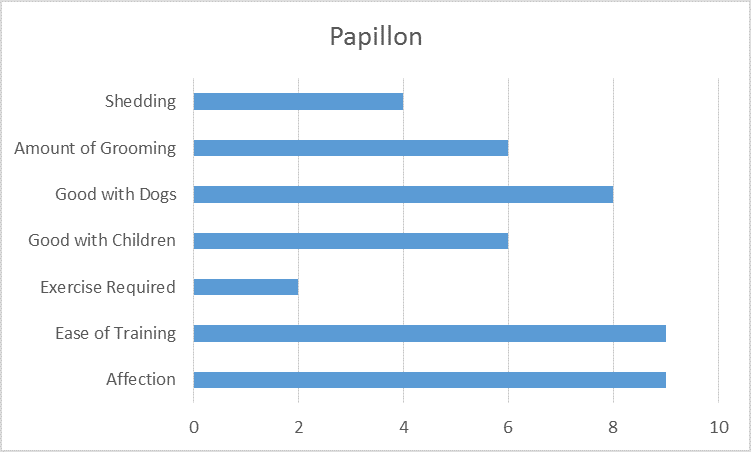 Many types of dogs, including the Papillon, saw their populations jump in these decades. The booming postwar economy allowed the average family to afford luxuries such as owning a pet. The breed was just as popular in the US as in Europe. It continues to grow in popularity to this day, and can be seen performing in many dog shows. 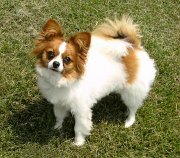 The Papillon was registered by the AKC in 1915. Today, the breed holds the ranking as the 42nd most popular dog in the US. These dogs are amazingly easy to train. They are intelligent and eager to learn. The most important part is assuming authority over the dog. These dogs will assume leadership if they don’t have a strong enough owner, which can lead to a stubborn and demanding dog. It’s important to be a firm owner without scaring the dog either, as this breed is relatively sensitive. If you are too curt with one, they may become unresponsive and reluctant to learn. Housebreaking presents the most difficulty with owners. 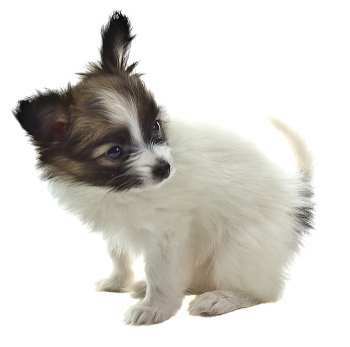 Being a small dog, it has a small bladder, and thus makes potty training have to be more consistent and redundant. Positive reinforcement is encouraged when the dog goes to the bathroom where it is supposed to. Harsh reprimands for going where they are not supposed to will make the dog more reluctant to learn. 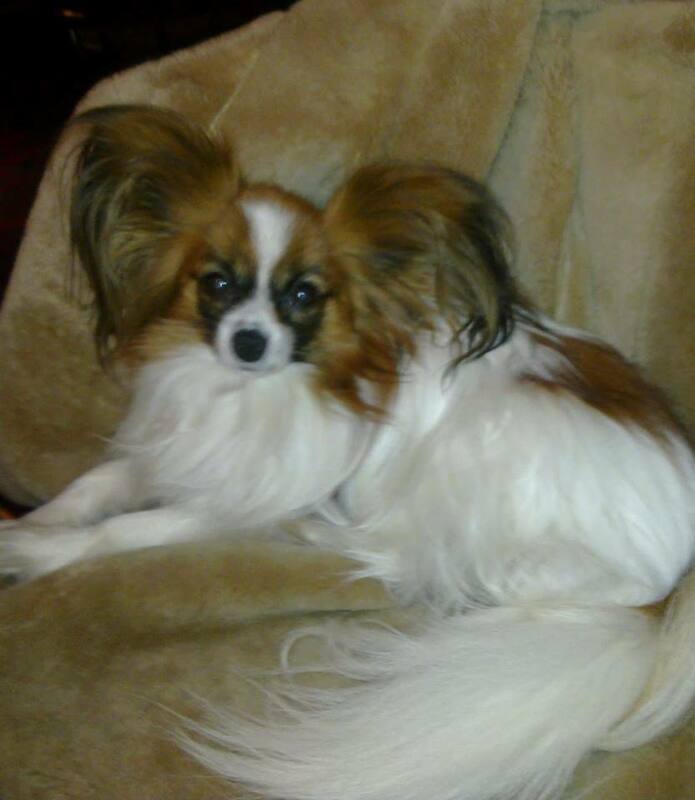 After the housebreaking process is through, the Papillon is a laidback dog. They handle guests well and enjoy the additional company. Other pets also give them more opportunities to play and are often appreciated. Owners will often take their dog to obedience classes to help with the training process. Socialization is necessary with all dogs. By exposing a dog to many things when it is young, it will become more accustomed to them by the time it is an adult. Taking a dog for frequent walks or to obedience classes to help socialize it. 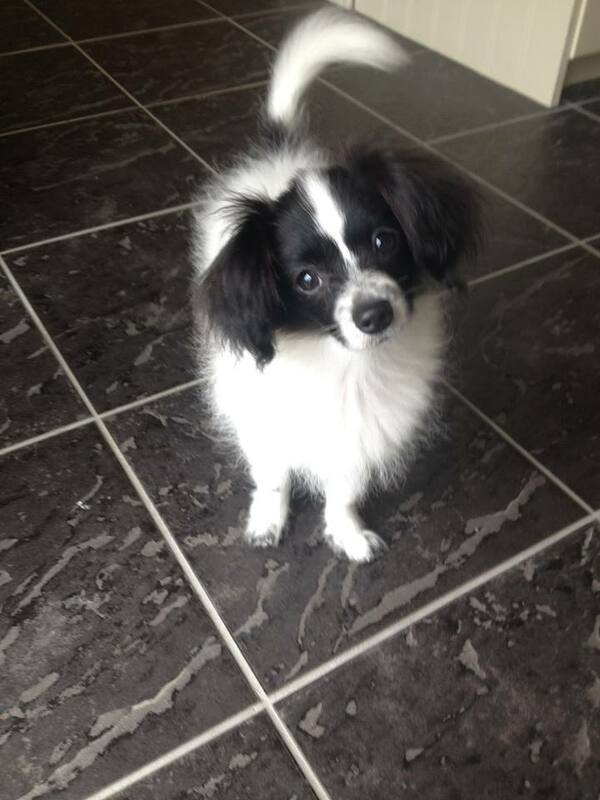 A well socialized Papillon will be quieter and more relaxed. 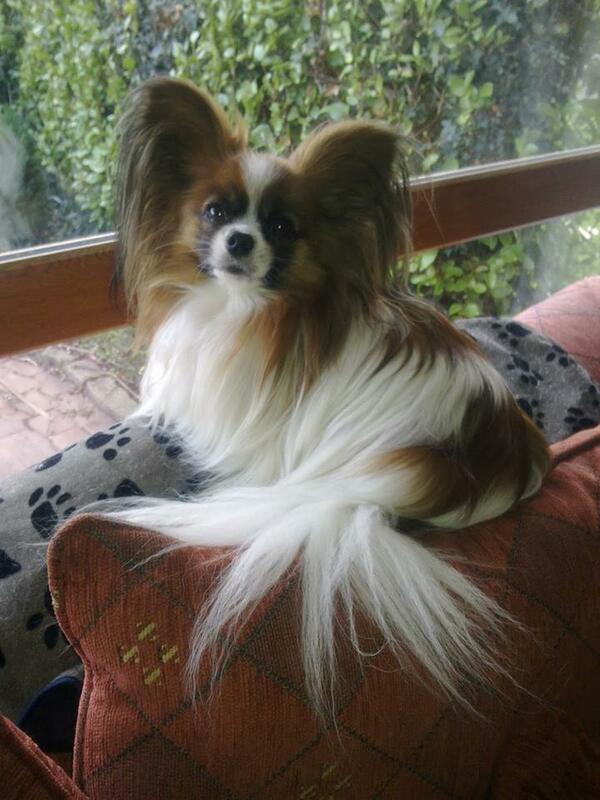 I found this video to share about two very smart Papillons. 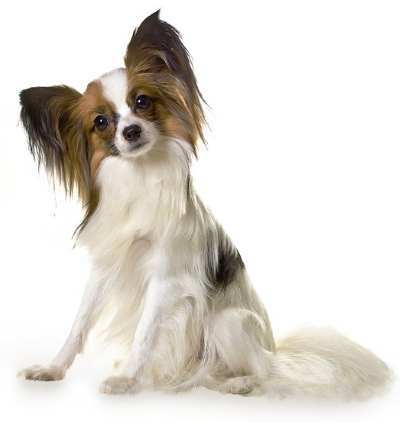 The Papillon is not known to be a difficult dog to groom. Their small bodies are covered in a single layer coat, and they are not heavy shedders. They still require regular brushing, however, and it is recommended that they are brushed 1-2 times a week. These dogs are known to be average shedders and do not have much of a smell. They only need bathed when needed, or, at least, every other month. 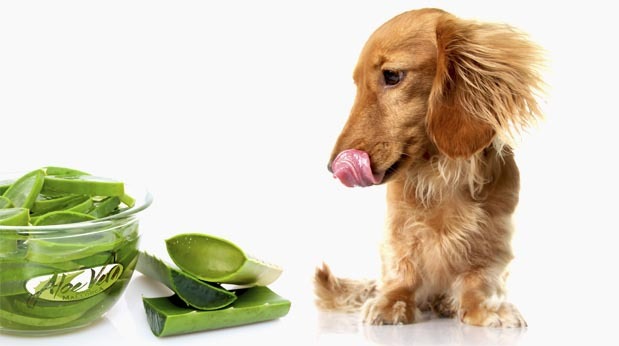 It’s important that you brush your dog's teeth along with its hair. Smaller dogs are more prone to dental issues, so it is essential that the proper dental care is provided. Regular brushing will remove plaque, keep breath fresh, and prevent tartar buildup. It’s recommended that they have their teeth brushed 2-3 times a week. These dogs will need their nails cared for too. If a dog’s nails become too long they can become uncomfortable, and even painful. A good way to tell if a dog’s nails are too long is by listening for them clicking against the ground as it moves. Otherwise, it is safe to assume that they will need its nails clipped about twice a month. 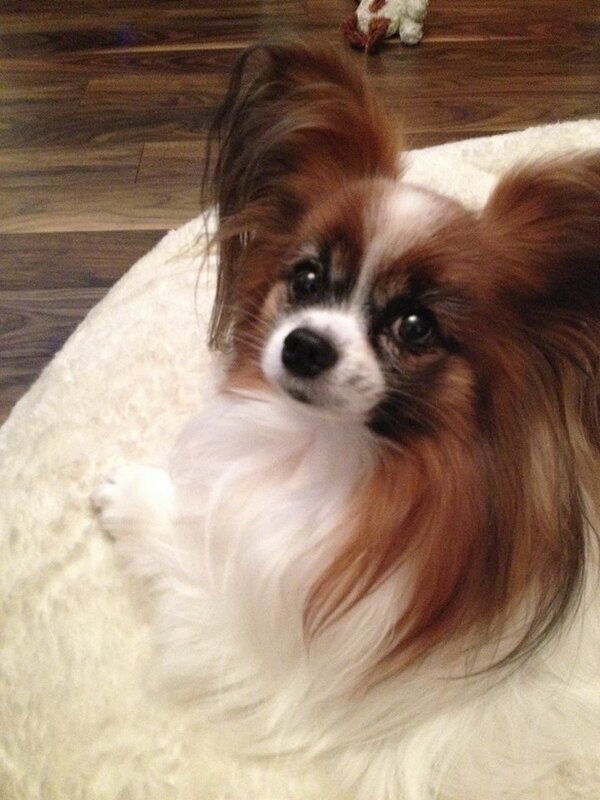 The Papillon’s large ears make it all the easier for the dog to get an ear infection. It’s important to check and clean a dog’s ears regularly to keep it healthy. Cleaning their ears will remove the built up wax and bacteria inside, It’s recommended that these dogs have their ears checked once a week. When it comes to protection, there are ups and downs to this breed. The upside is, they are vocal dogs. This breed is all bark and no bite. They make for ideal watchdogs, as they will alert their owners to any out of the ordinary. They have the energy and wariness to maintain the watch through the night as well. 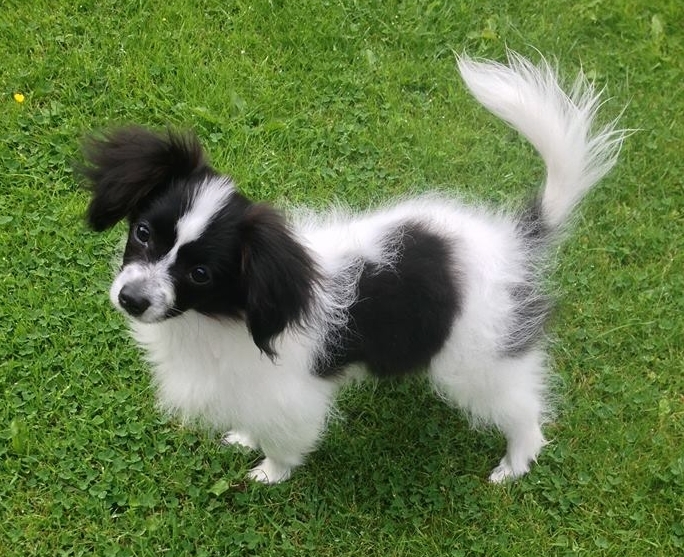 A downside of the Papillon is its size. It has all the capabilities of a watchdog and companion packed into a tiny body. This little body is, unfortunately, pretty weak when it comes to fending off an intruder. Their small build won’t do much for the valiant effort they will present in defending their owner. Their little bodies won’t be scaring anyone off any time soon either. While they may be lacking in body for the job, they have the right mindset for it. They are wary of strangers while being social at the same time. They are protective of their owners and their property, so they don’t want anyone intruding just as much as their owner does. This breed can keep adamant watch over the house, so long as they are inside because they don’t like the cold. Dogs, like people, get sick. Although, some breeds are more prone to certain health issues than others. It is important to be aware of the health risks for a certain breed when buying a dog. Patellar Luxation: A shallow groove in the knee causes the kneecap to slip in and out of position which can cause lameness. This is extremely common in small breed dogs. Hypoglycemia: The decreased production of thyroid hormone. Open Fontanel: The incomplete closure of the skull bones after birth resulting in a soft spot on the top of the head. Collapsed Trachea: A loss of firmness in the trachea that leads to weakness of the trachea or windpipe and difficult breathing. 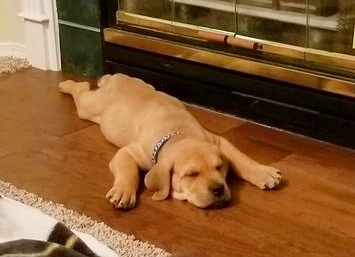 Finding a reputable breeder is an important part of buying a dog. A good breeder will be able to pass health checks for their dogs as well as have a considerable knowledge of the breed. This is a great dog breed, but it might not be for everyone. I always recommend that you do as much research as possible about a breed before you look for a breeder or rescue organization. Here are a few books I found to be helpful. Click on the images for more information.